Here’s a list of Best Free Music Download Apps For Android. Everyone loves music. If you also love music, then here is the list of apps that allows you to search and download mp3 music files. The best thing about Android is it has more apps than any other mobile OS. In the modern era, every kind of apps are available in Google Play Store. There are lots of developers who develop the android applications. So, there are tons of music download apps available in Play Store. But, many apps contain ads and not work properly and it is not an easy task to download your favorite music for free. Some telecom companies also provide their music apps to download and listen to music. If you are bored from search mp3 files on the internet and tired from fake download buttons on sites, then you can try these music downloader apps to search mp3 files. These are the best free music download apps for Android. SoundCloud is the most popular music app in Google Play store. 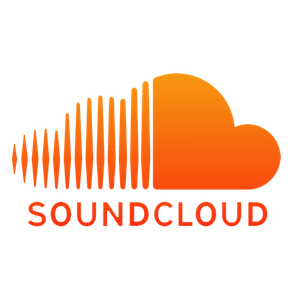 There are more than 120 million tracks on SoundCloud. This is music streaming app. But, You can also save tracks offline to listen without the internet in pro version. Both free and paid versions of SoundCloud app are available in Play Store. In free version it contains ads. But you can remove ad by installing paid version. You can also upload music to SoundCloud. And you can share, like and comment on other music files. More than 120 million tracks. Song suggestion based on your listening habits. Connect with friends and artists. Save music offline in Pro version. 4Shared is another best application to download music files. This app is completely free. With this app, you can also share your files on 4shared. 4shared also allows you to download files which are uploaded by other users. 4Shared allows to stream music online. Moreover, you can download other files rather than only music files. 4Shared is best for sharing files. Millions of files and music available on 4Shared. You can also access your account on www.4shared.com. It allows you to stream music files. This app is developed by Airtel (Telecom company). The Wynk music app is good for Indian users. You can stream 2.6 million Indian and international songs. But this app is not completely free. The one month subscription of this app is free as a trial offer. If you are an Airtel user then you get 6 month free trial offer. You can enjoy this app for one month free. After that, you need to pay for a subscription. There are 2.6 million songs available. You can stream high quality music. Google play music app is developed by Google. This app is pre-installed on every Android device. This app is best and ad free to play a music. You can also store up to 50000 songs from your music collection. By paying the subscription, you get many unique and awesome features. You can store up to 50000 songs from your collection. Listen to music on an Android device, IOS and on the web. You can also subscribe to podcasts. Napster is another great app for Android users to download and stream music online. There are almost 30 million songs in Napster library. You can use Napster for free for 30 days. After 30 days you need to pay the subscription. This app is ad free. So, you can enjoy music without any hassle. You can stream on demand music, download offline music and create a playlist of your favorite music collection. Napster Music is ad-free app. You can stream music and download music. There are 30 million songs available on Napster Music app. You can create a playlist of selected songs. Songily is another great app for music lovers. The main feature of this app is, it has inbuilt video converter. The songly pro app is also available on Google Play Store. Want to listen hindi bollywood songs? Gaana app is best for you. If you like english songs, then this app is not for you. But there are many english songs also available on Gaana app. You can also download songs in gaana app, but these songs only played in gaana app. If you wanna stream music online, then you can also do this in this app. Another best feature of this app is, browse songs through top chart. You can listen top 50 Bollywood and Regional songs. If you are radio mirchi lover then this is also available in this app. Users playlists are available for you. Saavn Music app is also for Indian users to listen bollywood songs. If you are Bollywood music lover then must try this app. You can stream music online in this app. If you want to download music, then go for saavn pro by paying a subscription. There are 30 million songs in Saavn database. Hungama app is also for indian users. There are 3.5 million Bollywood, Regional and International songs. You can also watch music videos on this app. If you want to save music offline then you need to go for Hungama pro. Bollywood, Regional and International songs. Watch music videos with lyrics. If you want to download workout music then go for this app. This app is best for workout music. You get motivation from workout music while workout. This app provides workout music from different genres. RockMyRun was tested by EPARC (leading exercise research lab). Supercloud song mp3 downloader is one of the best mp3 music downloader app. But, you need to download this app from the third-party website. Because this app is not available on Google Play Store. So, You can download supercloud song mp3 app from below link. So, these are best free music download apps for android phone. You can enjoy unlimited music with these apps. You can choose the best app as per your requirement. There are also so many other best apps are available in Google Play Store. Write in comments which music app you are using. Hi Gagan, Nice list of apps. Which one you personally use? Google play music is not working..